Successfully Added HK Warehouse Elephone P8 Android Phone - Helio P25 CPU, 6GB RAM, Android 7.0, 4G, Dual-IMEI, FHD Display, 21MP Camera (Black) to your Shopping Cart. 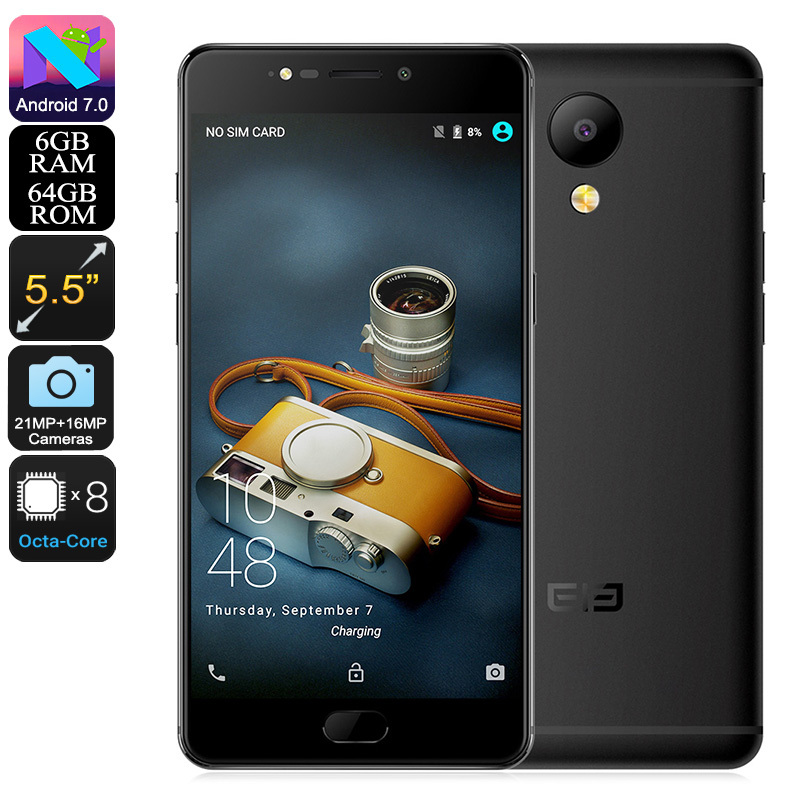 Take your smartphone experience to the next level with the Elephone P8 Android phone. This remarkably powerful yet affordable Android smartphone features the latest software and hardware alike. Within its thin body, the phone holds the Helio P25 processor. This Octa-Core CPU has been clocked at 1.7GHz. Along with a stunning 6GB RAM, it provides you with all the juice needed to tackle the most demanding Apps and games out there. The phone runs on Android 7.0. This will further increase its performance while you’re engaged in the latest Android features. At the rear of this Android phone, you’ll find an absolutely stunning 21MP camera. This snapper allows you to take breathtaking photographs of all those special moments in life. Additionally, it is capable of shooting Ultra-HD 4K video. Thanks to this, the Elephone P8 is the perfect device to all smartphone photography lovers out there. The phone furthermore features a 16MP front cam that is great for snapping selfies and for online video calls. With 64GB ROM and a 128GB SD card slot, you’ll have plenty of storage to save your pictures and videos. A large 5.5-Inch FHD display brings forth crisp 1080p resolution. This cell phone allows you to watch the latest movies and series in stunning quality. From now on, you’ll always be able to enjoy a cinematic experience no matter where you’re at. The phone furthermore treats you to a whopping 3600mAh battery. This cell packs all the power needed to get you through a day’s worth of mobile entertainment and connectivity. With 4G, you’ll even be able to browse the web when out of home. No matter where you’re headed next, with the Elephone P8 you’ll always be connected. The Elephone P8 Android phone comes with a 12 months warranty, brought to you by the leader in electronic devices as well as wholesale smartphones..